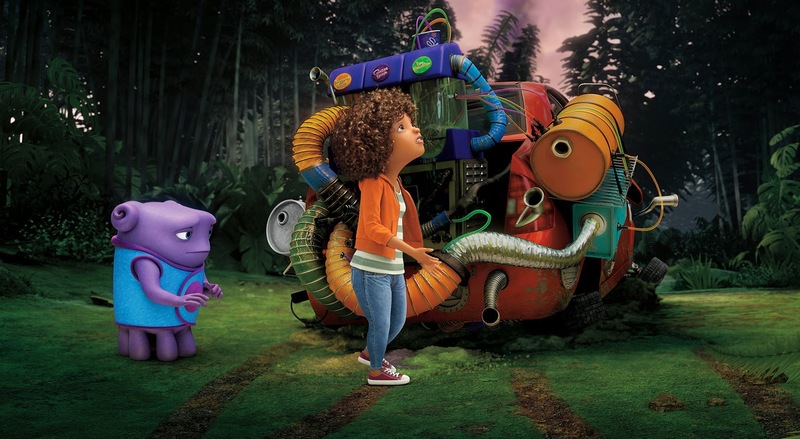 Rihanna stars as the voice of Gratuity Tucci, known as Tip, a feisty, independent and very relatable girl who is having to fend for herself when her mother is captured by an alien species, the Boov, along with all the other humans on Earth. 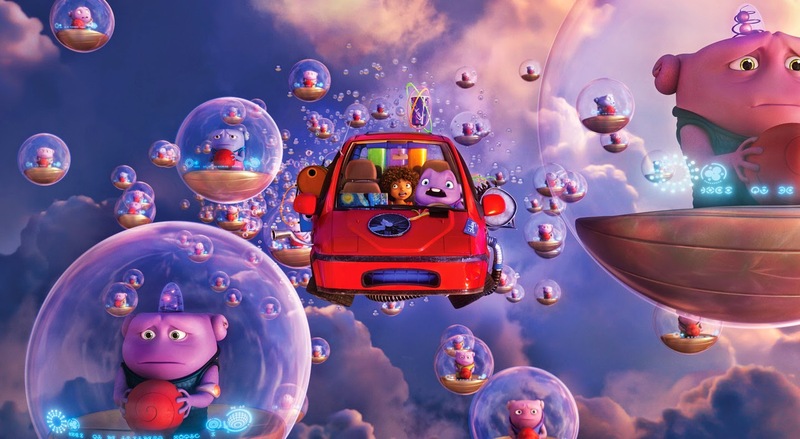 The Boov have been moving from planet to planet in search of somewhere to call home and when they land on Earth, they decide to settle there. Tip is alone, other than her beloved pet cat called Pig. She encounters Oh, a purple Boov (Jim Parsons) who has an odd command of the English language. He is actually very helpful and wants to befriend Tip, but initially she doesn’t trust him and doesn’t want to get to know him. Oh wins her over by fixing her broken-down car, turning it into an amazing flying vehicle, The Slushious, with the power to soar above the planet. Tip is on a mission to find her mother; Oh is escaping from the mean leader of the Boov, Captain Smek (Steve Martin); and together they embark on an extraordinary journey. Oh and Tip soon strike up a strong friendship, discovering that, in fact, they have a lot in common. Among other things, Tip teaches her new friend about music – and the fun of dancing. Music plays a big role in shaping “Home’s” humor, characterizations and themes – no surprise, given Rihanna’s involvement with the project. In addition to essaying Tip and contributing key songs, the pop sensation was very involved in shaping the film’s entire soundtrack, which weaves songs from her and other contemporary artists, including Kiesza, Charli XCX + Stargate, and Ester Dean, into the traditional film score. 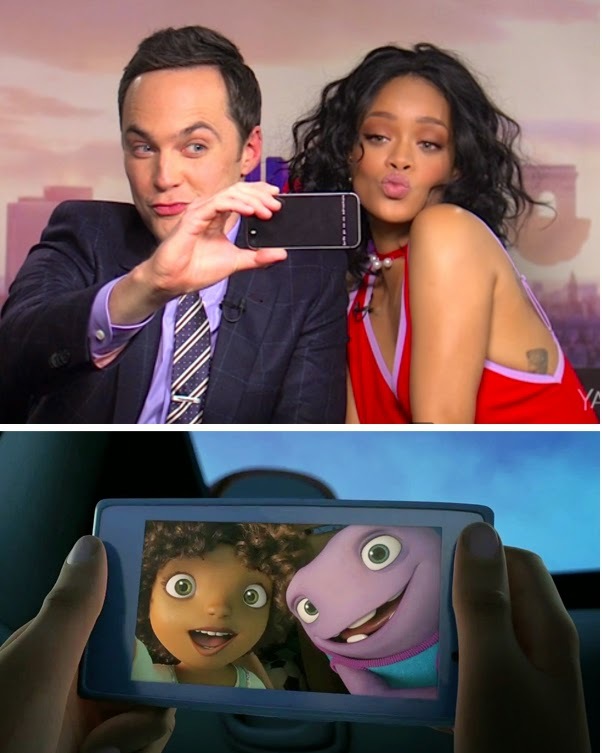 “I’ve had an incredible time working on some of the film’s music,” says Rihanna. “I really enjoyed working closely with Tim Johnson and music producers Stargate to ensure that, lyrically and musically, the songs were exactly what were needed for a given scene,” be it fun and upbeat, cutting edge, or emotional. One of “Home’s” highlights is Oh’s introduction to Earth music, specifically Stargate’s “Dancing in the Dark.” Oh pretends he’s appalled by the music but his body betrays him: Oh’s foot starts tapping and his hips start moving to the beat. Unable to resist, he begins boogeying down like there’s no tomorrow – with no control over his own body. The fun and crazy sequence speaks to the heart of Oh’s journey of coming to love what it means to be human. The scene was choreographed by Beau Casper Smart, who danced for hours to create reference footage for the animators, who then “Boovified” the moves. 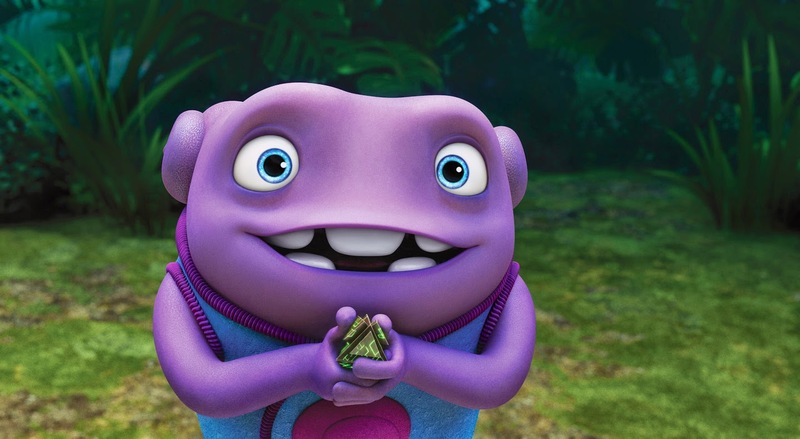 Move to the beat of “Home” when it opens in theatres nationwide in 3D and 2D screens on March 26 from DreamWorks Animation and 20th Century Fox to be distributed by Warner Bros.